Nas has helped launch the Tribeca film festival with a live performance of his debut album Illmatic. Tribeca opened with the premiere of Time Is Illmatic, a documentary about the creation of the rapper's landmark 1994 album. Nas - who grew up in Queens where the festival takes place - followed the screening at New York's Beacon Theatre with a performance of the nine-track album, widely considered a rap classic for its angry but earnest street poetry. Tribeca co-founder Robert De Niro introduced the film as not just about the making of an album, but "about the making of an artist here in our hometown." Time Is Illmatic, directed by the filmmaker One9, is not just about the songwriting process, it also focuses on the Queensbridge housing projects where Nas was raised, and how the influences of his parents, 1980s Queens and early hip-hop shaped his music. 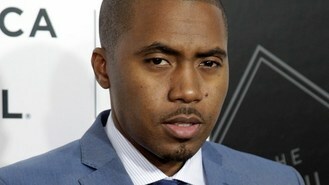 Nas said of the film: "I was trying to make you experience my life. It's still me." He told the audience: "Whoever you are, you can be anything." Performing afterwards, supported by Alicia Keys on piano, Nas appeared to be inspired by the recollection of his roots. He rapped emotionally with a constant flow of gratitude for his family, friends and collaborators, calling them out in the front rows of the audience. Nas pulled his brother, Jabari, also known as Jungle, up on stage for one song, along with his young nephews. He joked that his brother, a wry and candid voice throughout the film, was "the star of the movie". Nas also profusely thanked the Tribeca Film Institute, which helped produce the film and quipped that De Niro - known for playing New York tough guys - "plays me in all his movies". Tribeca has often included music in the festival, with recent opening nights featuring Sir Elton John and The National. This year's slate is full of music-themed films, including documentaries Bjork: Biophilia Live, Super Duper Alice Cooper and an untitled film about James Brown. There is also The Other One, featuring the Grateful Dead's Bob Weir and jazz trumpeter Clark Terry documentary Keep on Keepin' On. Tribeca, which runs until April 27, also closes with Begin Again, a film about a music executive, played by Mark Ruffalo, and a young singer-songwriter, played by Keira Knightley from Once director John Carney. Jay Z is taking his Made In America music festival to Los Angeles. BB King has apologised to fans after an erratic performance led to a stream of audience catcalls and early departures. Beyonce and Jay Z are planning a joint tour of US stadiums this summer, according to reports. AC/DC guitarist Malcolm Young is too ill to play live and unlikely to record again, according to one of his friends. Miley Cyrus has been taken to hospital and has cancelled a concert after suffering a severe allergic reaction to antibiotics. Folk duo The Rails are taking to the air to play gigs on both sides of the Atlantic in one day, emulating Phil Collins's Live Aid performances. Muse have revealed that they plan to start work on their next album in May. Pharrell Williams has been reduced to tears when he appeared on Oprah Winfrey's talk show. Peter Andre is set to swap cheesy ballads for big band-style swing on his next album, Big Night.